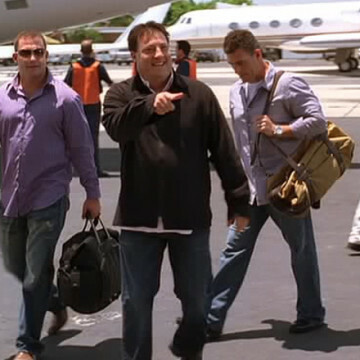 Kenny Dichter makes a quick appearance in S06E12 of Entourage, titled Give a Little Bit, which is currently one of the series’ highest-rated episodes. He shows up near the very end of the episode and rallies Matt Damon and LeBron James before they head out on a charitable trip for the ONEXONE foundation. Dichter is an American entrepreneur whose business portfolio includes Marquis Jet, Wheels Up, and Avion. Tequila Avion plays a big role in the following season’s story arc.